There are tons of note taking applications but Evernote seems to be the big winner in this category. It's gotten to the point where it's one of those "must-have" apps you should get. Any note you take is completely searchable (you can even search for text inside images that you add to notes) and very easy to access and find. 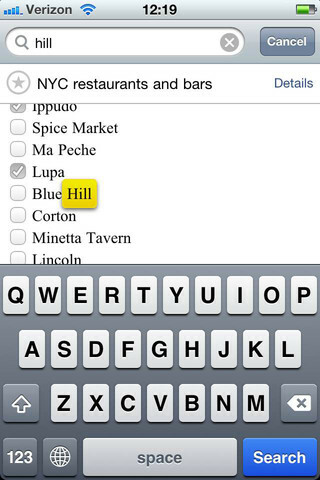 Notes that you take can include photos, voice-reminders (which I've never used), or just plain text. 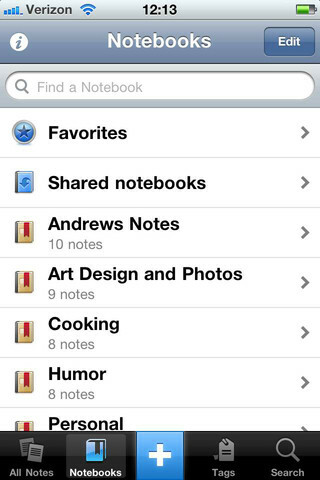 You can organize your notes into notebooks and add tags to them to make them even easier to find. According to Evernote's site you can also use it as a todo list, but I prefer using Wunderlist for that. 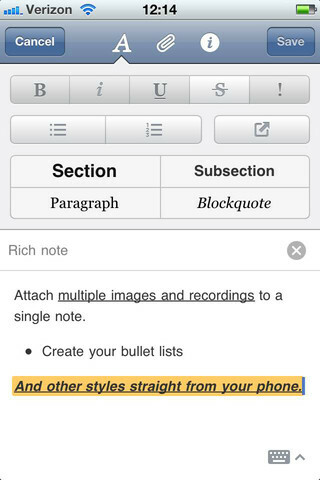 Evernote is free and is a Universal app that you can also use on your iPad. 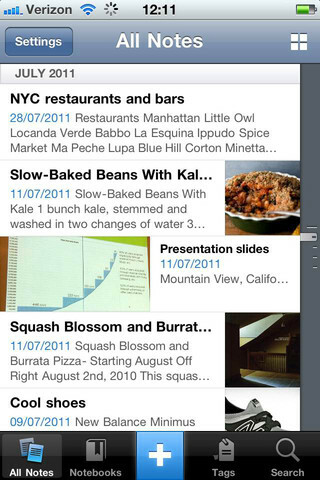 On mobile you can get it for: iPhone, iPad, Android, BlackBerry, Palm WebOS, Windows Phone.